Comments are awesome, but the WordPress comments system is sometimes slightly lacking. Several large sites have, in the first few months of this year, announced they were no longer allowing comments. We, at Yoast, don’t understand that. We’ve found that there’s huge value in discussing our posts with our community. Over the years, we’ve made several plugins that all make the comments system slightly better. Today we’re announcing a new plugin that bundles some of that functionality into one simple to install plugin: Yoast Comment Hacks. 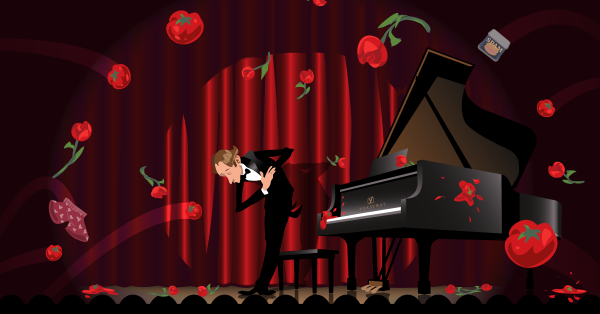 One of our “old time classics”, this module allows you to redirect first time commenters to a thank you page. You can use this page to inform them about other nice things on your site, stuff they should really read, etc. Want to see how that works? Well. Leave a comment on this post and you’ll see! Check out the Yoast comment hacks plugin page for the other 2 modules and more screenshot examples. You can also check the code on GitHub, or file an issue there if you find a bug or have a great new feature idea. The plugin is of course also available on WordPress.org. We’ll probably add more small comment hacks to this plugin as we go along and find more small ways to make the WordPress comments system easier to use. Do tell us what you’d like to see in the comments below! This is a test comment for 1st Comment Redirect… a feature I’m looking for for a while. This will come in handy for my tech blog. I’m tired of seeing comments like cool or good. A little more feedback would be appreciated. I also like the email module. Thanks for the great effort put into this plug-in. That’s a spirit and a great “call to action”! Well done – thx for another great product. Thanks for the new plugin, and I’m always confident that things will work correctly, when installing something that you built. I am embarrassed to admit that I was blogging a year and replying to every comment before I discovered that my replies did not go to the reader. :) Some quick scrambling ensued and I found a plugin. I’m interested in trying out your new plugin with the extra helpful features. Thanks sooo much! Learned about your new plugin via Amy Lynn Andrews’s weekly Useletter. Eager to see how it works. Thanks for all you do to help us make our sites better! I’m eager to try this out; I have high hopes for it. BTW, does your plugin interact in any way with Akismet comment spam filter? Thanks for putting this plug-I’m together. I’m simplifying my website and blogging is a central part of this strategy, so this enhancement to WordPress has arrived at the perfect time for me. What I would like to see added is the ability to move a comment from one post to another. I often have a reader ask a question / make a point which would be interesting & helpful on one post but which is largely irrelevant to the one they are on. Tako movable comments plugin seems to have stopped working. Once you’ve uploaded the plugin to your site, how can you edit the page that first-time commenters will see? Checking out the new comments feature! Sounds like a great plugin. I’ll be checking it out too. Does this still let you add comments/reviews on WooCommerce product pages? If the reviews are added by an Administrator, does the original submitter still have to verify them? Trying the comment hack out. Checking out the great new comments feature – then I’ll go install it on my 3 sites. :) Thanks! Wow yet another great piece of work and if I ever make any money whatsoever with this internet malarkey I will definitely donate what I can,thx again,bedankt. 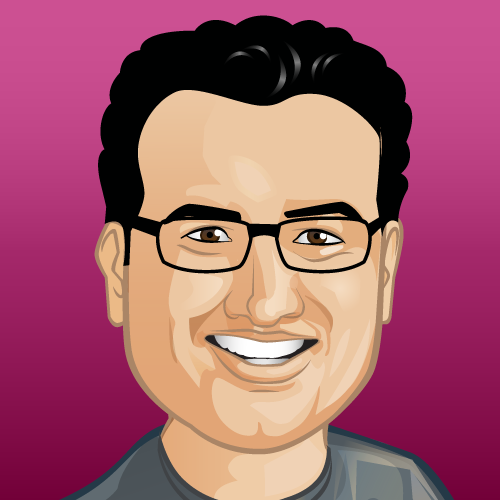 Thanks, Joost and Team Yoast! :-) Peace. Can’t wait to try this out and want to see the ‘thank you’ page! Thank you and can not wait to test it. Thanks for the great plug-in. I use your Google Analytics plug-in too. I mostly want to see the redirect page, but am always looking for useful bundled plugins for myself and clients. Have been using your plugins for years and they only keep getting better and I am sure this one will be no different. Thank you for all you have done for me and all the people that use you plugins. 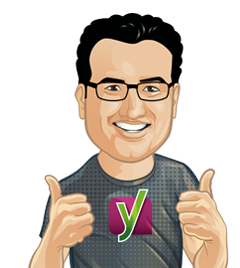 I’ve loved the Yoast SEO tool so far–excited to check this out. Thanks! We have a paid version of Akismet plugin, but I finally gave up on WordPress comments. A few blogs that I follow use FB Comments Plugin. I have mixed feelings about giving all our comments over to FB, but I must admit it is a nice to have a blogpost ripple through facebook. Excited to see how this redirect works. Thanks for a much-needed comment option! very, very interested to see how the redirect works! Hi Joost, You asked what I’d like to see more in your new comment plugin. When you talk of comments management, I guess you can add more hacks, but then of course, that would make it bulky. If you want your plugin to become the total comment management option, then here are some hack ideas. Bloggers get so with blogging that they miss or avoid replying to the comments on the posts (that’s me!). A notification on the dashboard about commments pending to be replied would act as a reminder or trigger for the blogger to take up the task and settle the pending scores. Besides these, a limited duration comment edit ability is also a desired feature for the commenter. You can also give the post author or administrator the ability to feature the best comment and make it appear on the top of the comments, as available on Disqus, or in the sidebar widget, which can showcase one best comment each from the selected number of posts of the blog. Also a feature where the administrator has the ability to mark the good comments of a post such that the ‘not so good’ comments are hidden under the button “see more comments”, which may motivate the commenters to submit quality comments and be visible, and not get hidden (disqus does it in a way through the public voting system). As for the other features in your plugin, I like the ‘comment parent edit’ and ’email commenters’ options. The rest options are also available in the CommentLuv plugin. i find this plugin is very useful. So I want to test the content direct feature. Awesome plugin. It work very well. Thank Yoast ! You get us Steve. It’s about conversion. Everywhere. I am very excited to try this plugin. I really love your SEO plugin and I am loving the idea of getting the comments section to be more useful and efficient. You guys do awesome work. Thank you! Whoa! Great addition! I’m interested in seeing the thank you page! You sure knew how to get a whole heap of comments! 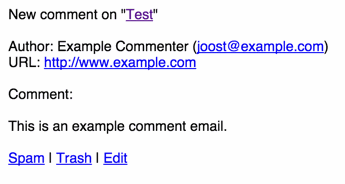 I have already been using Akismet plugin to prevent comment spam on my blog. Can I use both the plugins (Akismet + Yoast Comment Hacks) at the same time? Another question is, do I really need Akismet anymore if I install Yoast’s new plugin alone? Have you tried WP-SpamShield to prevent comment spam? I’ve used Akismet, but WP-SS has reduced my spam to zero. I really love this plugin, just downloaded yesterday. Keep up the great work and I am looking forward to any updates on this plugin! I have WordPress SEO plug-in and it’s AWESOME. checking out the comment hacks plug-in. I just want to see the thank you page. The redirect page is great! I love it and can’t wait to start using it in my site! Thank you again! I love everything you have offered so far so I will check out this plugin. I do have a question though. Is the comment email sent to the website administrator or to the person leaving the comment? I use a plugin to send those who take the time to comment an email whenever anyone replies to their comment. I cannot stand the whole WordPress “notify me of new comments” because I don’t particularly care to read what others say in their comments I’m more interested in what replies are received in regards to the comment I left. I would love it if you could add an email option to that would and an email to the person who left a comment so they do not have to keep coming back to see if anyone has replied to their chimney. Sorry I am technology challenged and do not know the proper terms. I must admit that I really have no idea what your plugin options are for. If you could break it down for me that would be awesome as I could use all the help I can get trying to understand all of this website stuff. Thank you for this new plugin Off to go check it out and see exactly how it would benefit me and my blog. I also would like to see the redirect in action. I’d also like to say that I like the thinking behind these features that should make comments much more useful to other visitors as well as to us, although I probably don’t post enough to our blog to generate enough comments to make these an essential part of our site. I’ve seen the redirect page. I think that it is a great idea and I can see how this would enhance our own site. I’m a fan of Yoast so I’m definitely going to try this new plugin! It would be nice if in the near future it would also get a feature like Commentluv has! Another great plugin issue solved! I will be adding this and using immediately. Talk about coming in handy…doing a redesign and was stuck on the commenting piece. Thanks! I will install it this evening and check out the possibilities. And then people wonder why Yoast is so successfull… there is a huge need (improved native comments) and in the 2+ yrs have been looking for something only “disqus” come out as an alternative… so no one is really caring, until now… I hope this plugin comes with more improvement… well done! I’d suggest looking at Postmatic – probably the best native comment solution I’ve found (especially if you tie it in with their Epoch Comments solution, currently in beta). Yeah I personally think native comments haven’t had enough love in core either, but we might inspire some change yet. Every plugin you put out solves a problem and ends up being one of the most helpful plugins I use. This one will no doubt be the same. Thanks! One thing you may want to consider regarding the Email Commenter feature is double opt-in to allow that service. Various European countries require this, and Canada introduced the CASL legislation last July. If you don’t get specific permission to email someone (let’s say you wanted to send them an incentive, an offer, a marketing message) then you’re breaking the law, with fines of up to $10 million. Given CASL has already seen its first $1 million plus fine, this is an important aspect to consider. We actually require people to verify their email address before even posting their comment. We might add both features in one… Seems a logical solution. I just spot the translation community here! , would definitely join and will try to help translating Thai! Have you signed up at https://translate.yoast.com/register/ already? I’m joining it, i really like all of you guys product and i would be really happy to make some contribution! Great addition! Going to give this a try, the comment redirect looks good! Although, I do completely agree comments being disabled is counter productive. I run a fairly busy news website which get a hand full of comments per day (mixed with a few hundred spam comments!) which are from people who have an interest in what I have written, want to learn more. Why a business would choose to not strike up a conversation with these people is beyond me! I have also noticed more and more businesses turning off their comments. I can’t help but wonder if it’s just that they don’t have to have to moderate the spam and sift through for the good comments and then to engage with them. If they don’t have the time to follow-up, is it really worth having the comments on? What’s worse: not having a commenting system or having a commenting system but not taking the time to moderate and respond to post engagement? How about a New Comment Notification, on which a user can (un)subscribe? There are a few already, but it would be nice if this is combined into one powerfull commentplugin. Yeah I’ve thought about it, but that requires interface etc. Which would basically double the size of the plugin. +1 for the ‘New Comment Notification option’. And while at that, a second option to subscribe to a mailing list like mailchimp. That second option is actually something the awesome Mailchimp for WordPress plugin provides. Thanks Joost for understanding us and providing another useful plugin for the WordPress users. I have been using WordPress from long time and wanted something like this in the comments format. Comments are an important part of any article, so it’s very important to safeguard it. Would definitely love to get such more plugins from you and your team. Cheers! Nice bundeling of useful comment hacks. Small tip: the text is nicely translated into Dutch, but the default text in the fields is not. Cool and handy plugin ! Thank you.